A wide variety of Professional Tour Services are also offereed including Meet and Greet, Full or Half-Day Custom Tours, Itinerary Planning, Costumed Step-on Guides and Elderhostal programs. Appearances by Champlain and Wedding/Convention/Party options are also popular options. 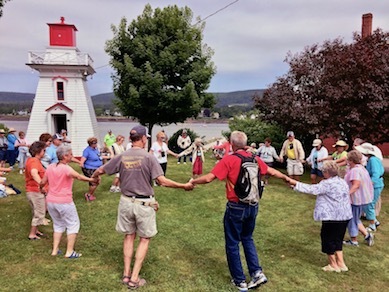 An annual favourite with Bus, Bike and Caravan Groups, tours and services are also available for Special Interest Groups, Family Reunions and Student, Faculty, Educational Trips. Special rates and itineraries available upon request. Licensed Full-Service Travel Agency Services are also available through Trans World Travel. 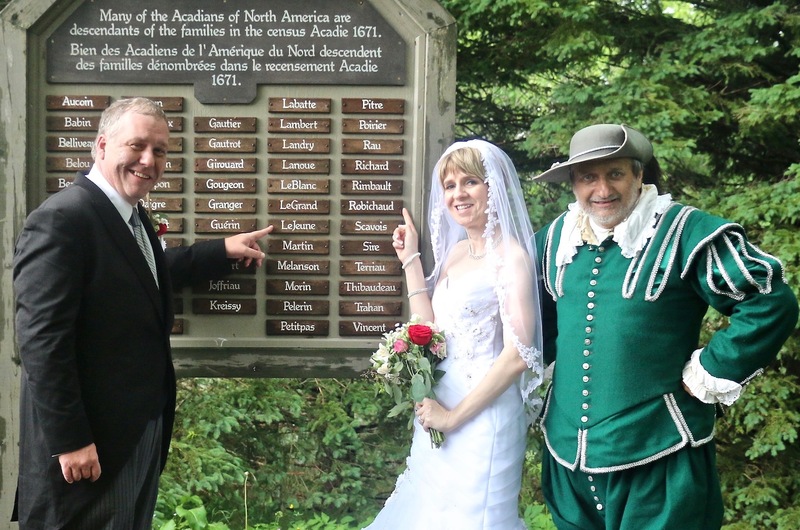 Most of the tours are offered by Durline Melanson, President of The Historical Association of Annapolis Royal, and her husband, Alan, Past President -- voted one of Nova Scotia's three "Most Romantic Couples". Alan is bi-lingual, French and English. Durline speaks English and Spanish. Both have extensive radio, television and film backgrounds -- plus over 54 combined-years experience in international tourism. They enthusiastically team up to share their love of history. GROUP RATES (10 or more) ON REGULARLY SCHEDULED PUBLIC TOURS: ADULT $9, YOUTH (13-18) $4, and CHILD (12 & Under) $2. LET US HELP YOU SAY "I DO" IN ANNAPOLIS ROYAL! 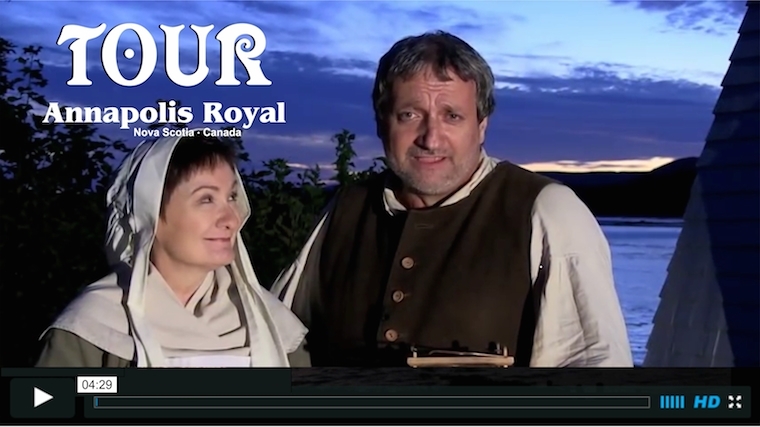 CLICK HERE for Acadian Wedding video. PLEASE SHARE YOUR TOUR PHOTOS WITH US!